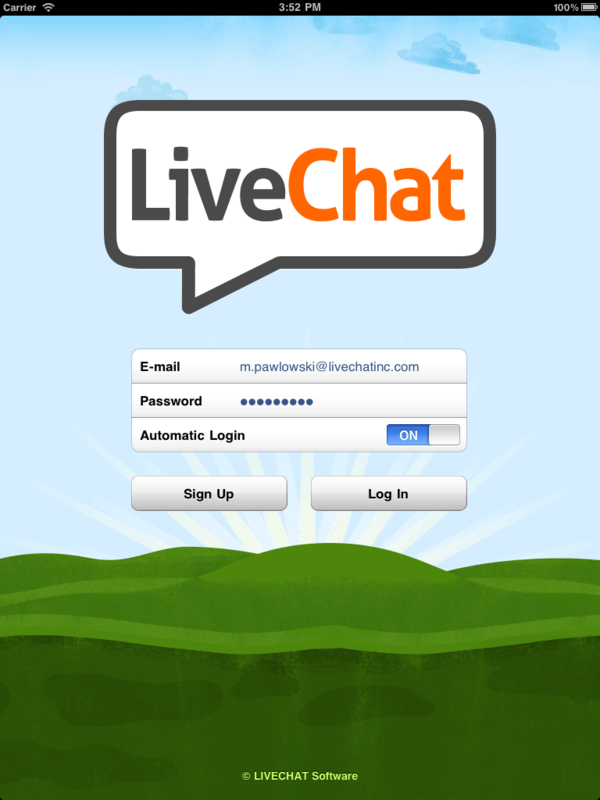 Today we are officially releasing the LiveChat for iPad. 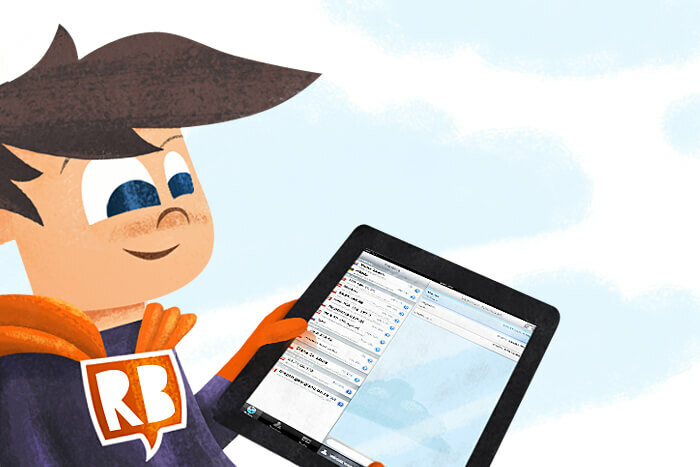 We are happy and proud of it – we find it the easiest and most convenient way of chatting with website visitors. 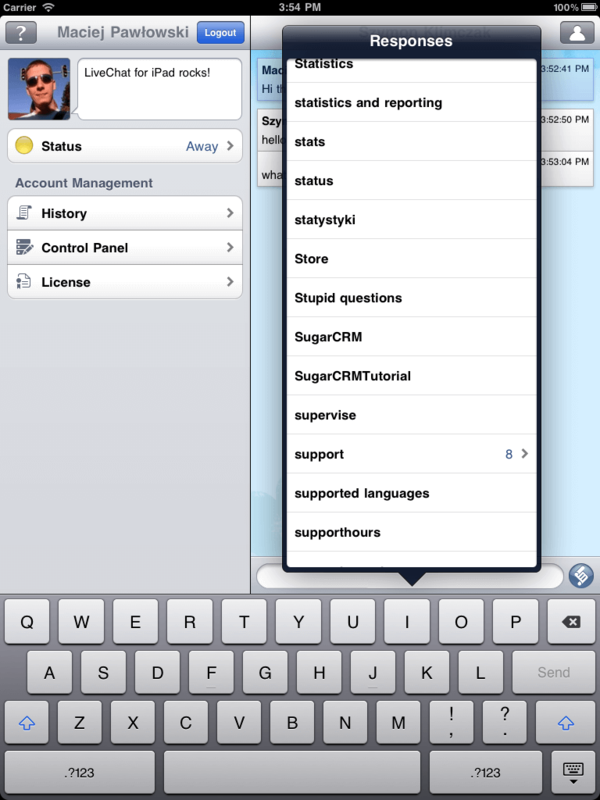 LiveChat for iPad has been built specifically for the device. The app works in the background and automatically notifies the user whenever there’s an incoming message from a website visitor. Preview website traffic in real-time. 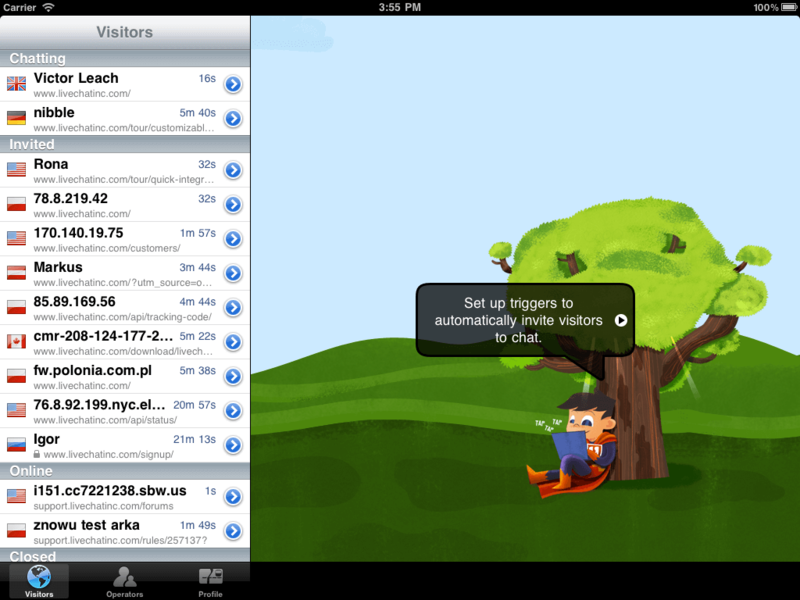 Invite website visitors to chat (with a click on selected user) and respond to customer-initiated chats. 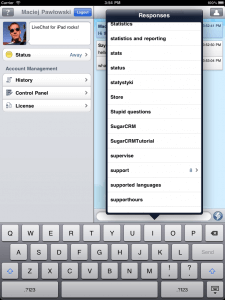 Chat with multiple users at the same time, including the use of canned responses. Monitor any ongoing chat (what is extremely useful supervisors). Review sneak-peeks of customer messages, as well as survey results and client status and details (supervisors). 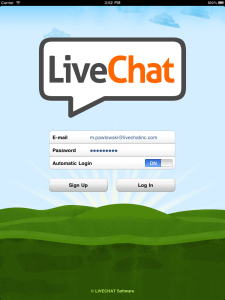 As LiveChat supports the simultaneous multi-device sessions, you can be logged into LiveChat on your laptop, iPad, and iPhone all at the same time, at any given moment… from answering chats while working on a computer in the office, an iPhone at the bus stop, or an iPad while resting on the couch at home. We’ve been testing the app internally and with several customers – next week we will have them share opinions about the app on our blog. If you already grabbed the app and would like to share your story with other companies, let us know and we might let you do the guest post on our blog!